Dave Baldwin made his way to Ashland & Willow-Witt Ranch in May 2014, after an adventurous jaunt around the country in search of a new place to call home. 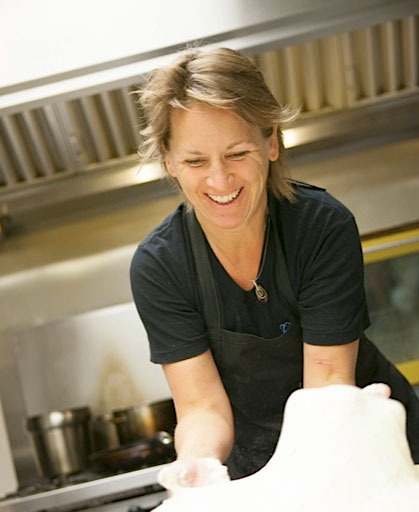 We are thrilled to welcome Marion Cascio as our new Market Assistant for 2014. Marion grew up in Germany living and working in the food industry through her parent’s restaurant. She did an apprenticeship in fine French cuisine and hotel management and has worked at several restaurants and spas in Germany. Gotes with Totes - Available for Hire! If you have to breed milk goats every year to keep them milking, what do you do with all those baby goats? Around 1990, all of our friends and acquaintances had all the pet goats they could possibly need. 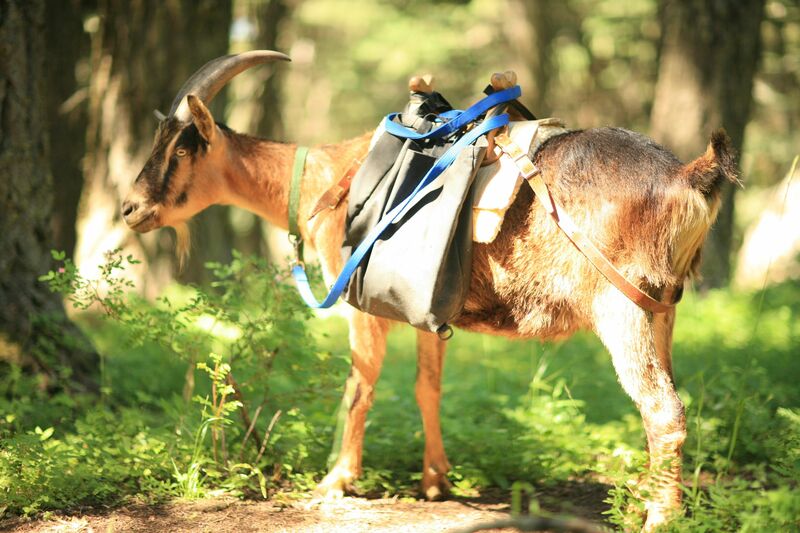 We were not ready to make goat sausage when we read an article in Sierra Magazine about back packing with goats. John Mionczynski worked in Wyoming with the task of observing and recording a band of Rocky Mountain bighorn sheep. He had a good deal of equipment to carry into the high mountains, including a big radio receiver to follow the radio collared sheep. He tried horses and then mules to follow the sheep into the high wild terrain. He could not get near the area where the sheep lived. Stuck with this dilemma, he trained his pet wether (castrated male goat) to wear a modified mule cross buck and off into the rugged slippery upper reaches they went; the goat’s presence did not alarm the wild sheep. He ultimately wrote a book called The Pack Goat and is considered the father of American goat packing.